I believe Diwali is the most exciting festival in India. Homes are illuminated with twinkling fairy lights and the streets are blanketed in the brilliant golden hues of marigolds. 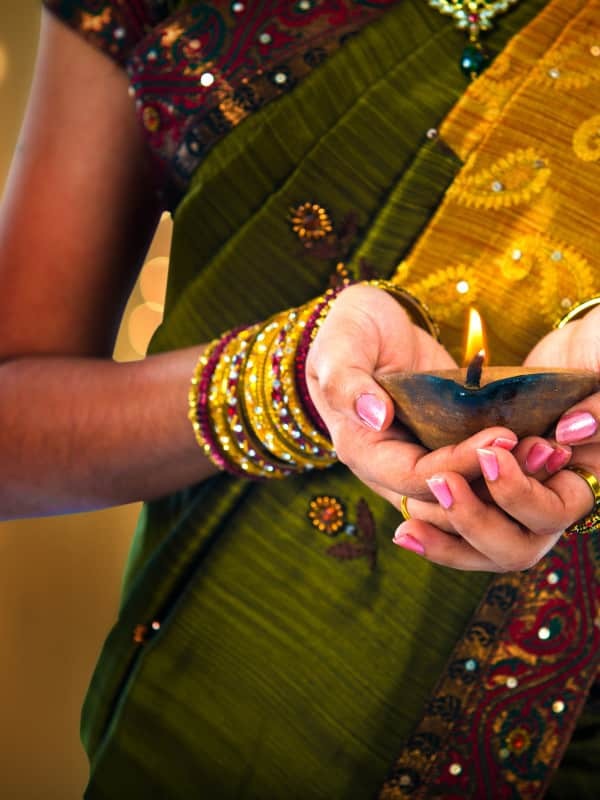 Aside from the southern state of Kerala, Diwali is celebrated with fervor across the country. 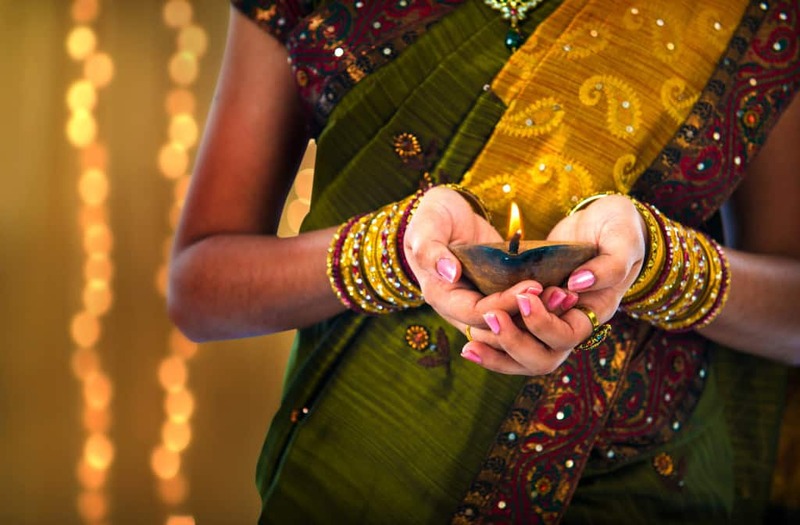 The history to Diwali harks back to the mythological story of the Ramayana. After Lord Rama defeated the demon king Ravana, he returned to the kingdom of Ayodhya with his wife Sita. Celebrating his return and the victory of good over evil, Diwali is known as the Festival of Lights. Over five days people decorate their homes, buy gifts, light candles (or diyas) and of course feast with family and friends. Firecrackers are a huge part of Diwali, and can often be heard at all hours of the night and day. The festival begins this year on October 28th and ends on November 1st. The main festival day will be on October 30th. You can see Diwali fireworks almost anywhere, but some of the most spectacular displays can be found in the north of the country. In Delhi, head to India Gate to see the beautiful arches lit up as fireworks explode in vibrant colors through the night sky. 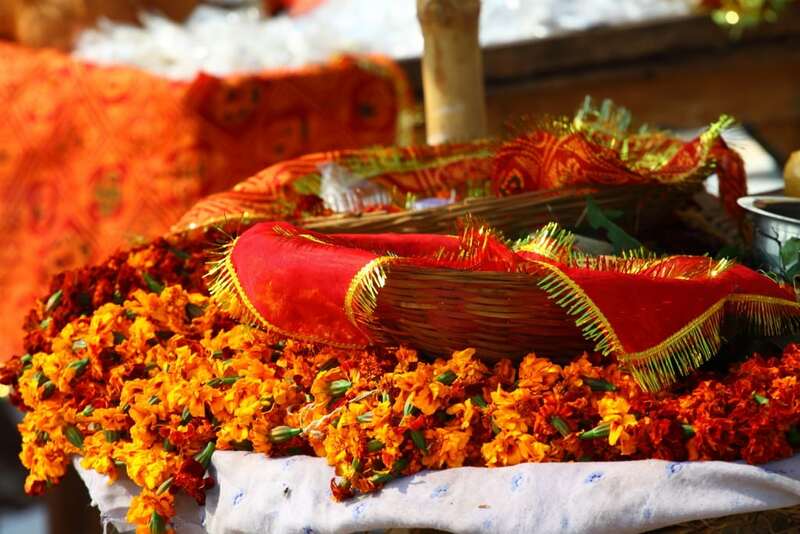 For a more spiritual Diwali experience, Varanasi is the place to be. The sacred river Ganges provides the perfect backdrop for a fireworks display. Don’t miss the famous Ganga Aarti, best seen by boat, where the ghats are lit up with fire and prayer. While it’s not a Hindu temple, the Golden Temple in Amritsar is another wonderful place to experience Diwali. The temple is draped with lights and fireworks celebrate not only Diwali but the return from prison of Guru Hargobind Sahib, who was held as a political prisoner in the seventeenth century. While shops and houses everywhere are draped with fairy lights for Diwali nowhere does it quite like Jaipur. The Pink City looks resplendent, with many of the major shopping strips competing to out-do each other. The real winners are the people who flock to see the incredible light display. Visit Johari Bazaar which gets my vote for the best light show. If you can’t beat them join them! Everyone shops during Diwali and most stores hold their sales to take full advantage. So join in the shopping frenzy at the major shopping malls and shopping streets across the country, and you may even pick yourself up a great bargain. While jewelry and gold are traditionally bought during Diwali, you will also find everything from clothes to furniture on sale. In Mumbai, head to Crawford Market and the nearby Zaveri Bazaar for jewelry. if you’re in Delhi you can’t miss Khan Market for the best in high-end fashion.